Save money by recycling your unwanted chemicals. Whether you are a small specialty R&D lab or a major distributor we know that getting rid of chemicals can be costly and a challenge. With our innovative recycling program, we are able to divert your chemicals from traditional disposal methods and recycle them where they will be consumed for their intended purpose. Maybe you are currently disposing of your unwanted lab chemicals as a hazardous waste. Why not divert some of those items into a more environmentally sound solution? 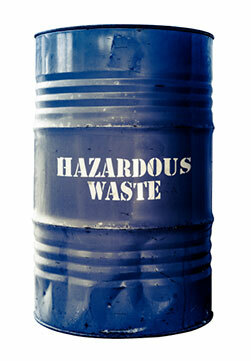 When a material is disposed of as a hazardous waste it has to be manifested and sent to a TSDF. RCRA has a “cradle to grave” regulation which states that the waste generator is liable for the waste even after it has been treated and disposed of. Crazy! So, what that means is even after the TSDF treats your waste you are still liable for it and reduce your liabil. When you recycle chemicals they no longer fall under certain regulations and once the ownership of the material transfers you are no longer liable for it. No longer having the liability for those materials means you can sit back and relax and know that no one is ever going to come after you for improper management of your hazardous waste. Reduce your liability and costs by recycling your chemicals today. Are you curious to learn more about recycling chemicals? Give us a call at 419-425-3604. CHEMWISE may be able to reduce your chemical waste liability and save you some money in the process. You’ll also be helping the environment at the same time! Do you have chemicals you want to get rid of? Send us your inventory and we’ll get you a quote.